Part of the joy of going on vacation is regaling tales of the unexpected, especially big adventures. The art is in the telling and the secret in the embellishment. Disrupted journeys due to thunderstorms, hurricanes or other ‘Acts of God’ are popular, along with seeing exotic creatures very close up when not expecting them; a stingray zipping past you in the ocean, a python slithering inside your tent whilst you are in your sleeping bag or a scorpion hiding in your bathers. We are all prone to exaggerate – the size, the length, the duration, the inconvenience, the fear, etc. – the extent to which we do so depending on the reception from the listening party. The bigger their pupils grow, the more fishy the tail end of our tale. 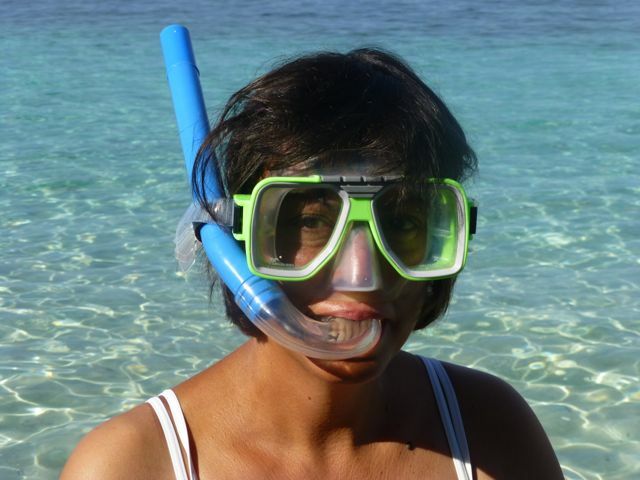 Whilst on vacation, we have been snorkeling a lot along the reefs of the South Seas. It is stunning, breathtaking and addictive. 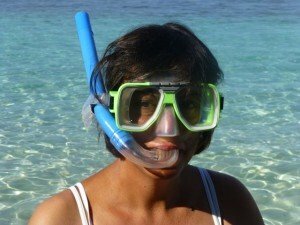 The snorkel mask does the telling; magnifying the many amazing fish and corals to appear larger and closer than they really are. 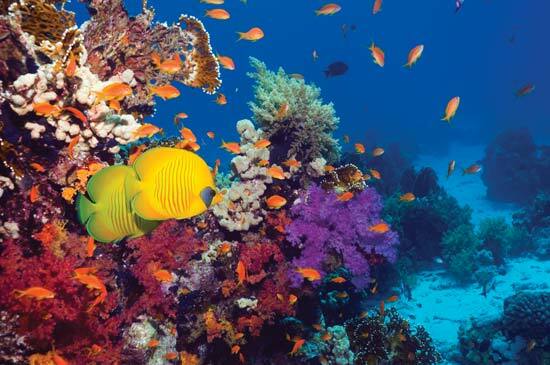 You keep wanting to see more shoals, bigger fish, brighter fish, and ever more different kinds of corals, than you did the last time. 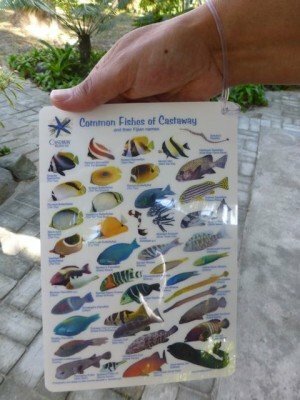 At the resort shop selling souvenirs, I bought a laminated card depicting a selection of common fishes spotted around Castaway Island in Fiji (where we are) to try to identify the ones I could remember seeing. Part of the pleasure of snorkeling is being able to name what you have seen afterwards. When paying for the card, the shop assistant threaded a piece of rubberized plastic through one corner of it and said to me to wear it on my wrist when snorkeling next. I could not stop laughing at the absurdity of the idea. Besides looking daft dangling from your wrist, the fish tend to swim past you at speed, so there would not be any time to scan a two-sided card of about 100 images to see if they matched up to any of the real ones. Moreover, the printed names of the fish are in tiny eight-point font and in blue so I doubt if they could even be read when bobbing around in the ocean’s currents! It got me thinking about whether being able to identify a fish in the moment was important and how augmented reality could help. Imagine, wearing a version of Google ‘snorkel’ Glass that could tell you, in that GPS ‘lady’ voice, what was in front of you or the names could be projected onto your mask so you could read them next to the fish swimming past. But, just like in the rain forest, the pleasure is in the here and now seeing and then combining it with one’s imagination and memory afterwards, whilst browsing the Internet and one’s photos to recreate the experience and regale it as a tale. I have had a lot of fun simply looking at the card whilst on land trying to match some of the illustrated coral fish to those I think I have seen, such as bird-nose wrasses, boomerang trigger fishes, angel fishes, trevallies, green pullers, orange-blotched surgeon-fish and some shabby parrotfish. The names are for real, not ones I have made up! Who needs technology or the urge to bluff with names like that?